Andropogon gerardii ‘Blackhawks’ is the latest in a series of grasses from Brent Horvath of Intrinsic Perennial Gardens, which includes several summer-colored red-tone selections like ‘Dancing Wind’ and ‘Red October.’ Photo courtesy of Intrinsic Perennial Gardens. Ornamental grasses are more than just a group of landscape plants loved and adored by the consuming public and the wholesale trade alike. They are a product category, occupying a lofty place in the market thanks to the near religious fervor of promoters. For the last 30 years, designers, plantsmen, and growers have heralded a cultural awareness of what nature has always known: ecologically speaking, grasses reign and trees abide. The business of ornamental grasses isn’t small either, and from all accounts, it’s growing. Per the 2014 USDA Census of Horticulture Specialties, the U.S. generated $158,061,000 in ornamental grass sales. California ($33 million) and Florida ($30 million) lead in grass production, with North Carolina ($7.1 million) at a distant third. The tribes of Poa and Cyperus make for a silent majority. The lexicon of progressive planting design is rife with the texture of ornamental grass. Garden design guru Piet Oudolf might not be singularly responsible, but his work strikes a contemporary tone. This consumptive demand for public and private projects has created a hyper-charged marketplace for innovation. Plantsmen and breeders select for architecture, form, and color that benefit a horticultural setting. Brent Horvath, Owner of Intrinsic Perennial Gardens in Hebron, IL, has written the gospel of up-and-coming Andropogon. 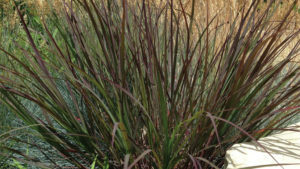 ‘Blackhawks’ is the latest in a series from Horvath, which includes several summer-colored red-tone selections like ‘Dancing Wind’ and ‘Red October.’ Big bluestems are architectural stalwarts, trendy replacements for Calamagrostis ‘Karl Foerster,’ and durable natives with tough constitutions capable of withstanding a variety of soils. They are easy sells to landscape contractors. “We get requests for a lot of named varieties of little bluestem, too, especially ‘Blue Heaven’ and ‘Standing Ovation,’ Horvath says. Little bluestems may be one of the poster children of the ornamental grass movement of the last decade — there are almost more varieties than even the erudite horticulturist can keep tabs on. That’s not to say that mainstay cultivars pale in consumption to relative newcomers. David Hoffman, Project Manager at Hoffman Nursery in Rougemont, NC, is quick to point out that bread-and-butter items like Calamagrostis ‘Karl Foerster,’ Pennisetum alopecuroides ‘Hameln,’ and cultivars of little bluestem like ‘The Blues’ still hold their own. Even as a market leader, Hoffman acknowledges that supplying a demanding marketplace isn’t without challenges. New isn’t without caveat. Hoffman notes that wholesale customers are motivated by their end users — if they aren’t perceiving a demand, they are reluctant to buy into a trend. That’s the rub. Without contention, there’s obvious demand for grasses. But how do we continue to enhance diversity in the marketplace? How do we slice ecological consciousness with the frustrating, if not real limitations of consumption? This is one of the central challenges in the horticultural business. How do we embrace diversity while mitigating risk? How do we just get over everything and put great plants in the hands of great gardeners? Ornamental grasses may be a convenient testing ground. There is almost no doubt that ornamental grasses — as large of a bucket as that is — will continue to grow as a consumer and trade category. Sedges, technically not grasses, are all the rage. Hoffman notes that sedges get a lot of attention as groundcovers and base layers for ecological plantings for everything from ornamental to green infrastructure projects. “That market is generating strong sales for us,” he says. Horvath caters to increased interest in ornamental grasses through his Ornamental Grass Field Day, now in its third year. The half-day event features speakers and tours of his nursery and breeding work, all while networking with grass geeks. Events like this help Horvath hear what the market wants. The biggest question seems to be how we maximize profit margins on an in-demand category with a product specification that matches the needs of various consumer groups. Landscapers will ultimately need fewer one gallon finished plants and more quart or landscape plug sized material. The premium price for a finished gallon at retail currently stifles enhanced consumption. If we want meadows substituting for front yards, we’ll need more cost-effective sedges at the retail level — consumers will need access to Landscape-Plug-50-style “turf” solutions. If we want more grasses in our hellstrips, we’ll need more quart-sized material because the cost savings alone will mean that public sector projects can invest more of those precious dollars in plants and not labor and logistics. Most of us have only begun to scratch the Poaceous surface of what’s possible. We should take a lesson from natural communities across the continent and plant more grass. 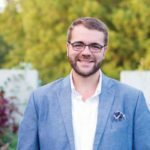 Kelly D. Norris ([email protected]) is the horticulture director at the Greater Des Moines Botanical Garden, an independent plant breeder, author, owner of Rainbow Iris Farm and a member of Generation Y. See all author stories here.